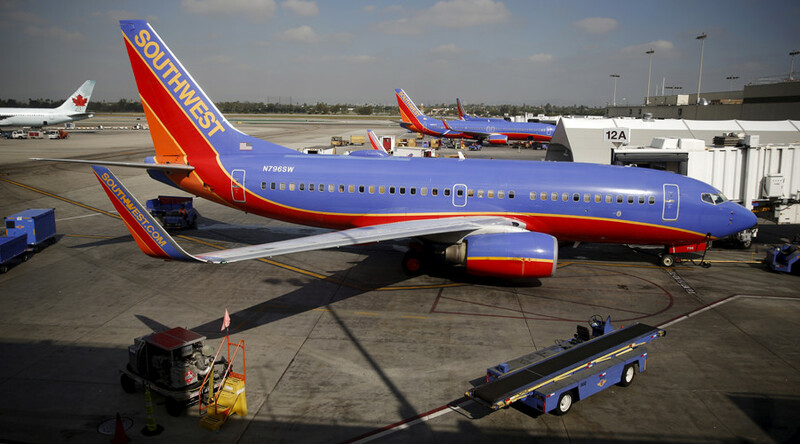 An off-duty police officer subdued a woman allegedly attempting to open an emergency exit on a Southwest airlines flight from Los Angeles to Houston Sunday.The woman had been acting unruly on the flight, according to eyewitnesses. Returning from a holiday in California, Pamela Minchew from the Independent School District (ISD) police in Cleveland, saw the passenger attempting to open the door mid-flight, ISD police chief Rex Evans told the Houston Chronicle. “Fearing for her safety and the safety of everyone on the plane, she took action and was able to restrain the passenger," he said. The flight was forced to make an emergency landing in Corpus Christi, Texas. Video posted to Twitter by passenger Kristy Gillentine shows security allegedly removing the woman. The woman had been “acting erratically” before boarding the plane, “shouting conspiracy theories and walking backward at LAX,” Gillentine told RT. “She was still allowed on the plane. This was a failure,” Gillentine said. “This situation was 100 percent avoidable,” Gillentine added. “My major concern - and the concern of most others on board - is the failure of anyone to stop this woman from boarding. It's a clear failure of "see something, say something." The flight crew even pointed out how she was walking backward and acting strangely,” she added. The FBI is investigating the incident and the woman is in custody, KRIS local news reported. RT reached out to Minchew for a comment on the incident but have yet to receive a response. Cleveland ISD police department expressed their pride in the officer in a Facebook post.